Piyush Goyal further stated that in "29 GST meeting that have taken place till now, rates of 384 Goods and 68 Services have been reduced". 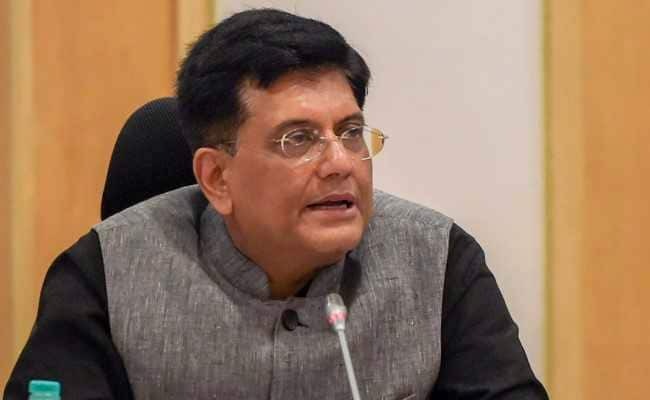 Finance Minister Piyush Goyal on Sunday said that many big nations don't have the courage to implement a tax reform like the Good and Services Tax (GST). "No big country has ever had the courage to implement something like GST. It's not there in the US or China. Big nations don't have the courage to bring such huge change," Mr Goyal said at an event in Patna while interacting with Bihar Chamber of Commerce and Industries. "Before our GST Council meeting on July 21, I went to seven places - Jaipur, Bhopal, Nagpur, Raipur, Kolkata, Mumbai and Delhi - to interact with people and take their feedback on what they expect from us. The decisions that were made in the GST meeting brought changes in the GST to a great extent. GST has become simple. A special GST meeting, especially for the MSME sector, was called on August 4. This happened for the first time when all the finance ministers in the country along with the Centre's Finance Minister did a meeting, especially for a particular sector," he added. Mr Goyal further stated that in "29 GST meeting that have taken place till now, rates of 384 Goods and 68 Services have been reduced." "Rakshabandhan is coming. We have exempted Rakhis from GST. Also, for Ganesh Chaturthi, we have exempted GST on statues made from wood, clay and stones. Handicraft and handloom sectors are also there. All these things are our heritage and we have to hold on to them with respect," he added. In the 29th GST Council meeting, Piyush Goyal announced that a committee has been set up to look after the issues of Micro, Small and Medium Enterprises (MSMEs). The council also announced that the GST incentives for digital payments via RuPay card and BHIM app will be rolled out on a pilot basis. Mr Goyal also said that 20 percent cashback will also be available on digital payments through the BHIM app.